Grab the deal, get tinting and coating for just AED 1999/- and protect your vehicle from fading and scratching issues. IFSG Services offers best deal of the season for ONE whole month so you can deal with summer season heat like a pro especially when you’re on the road. 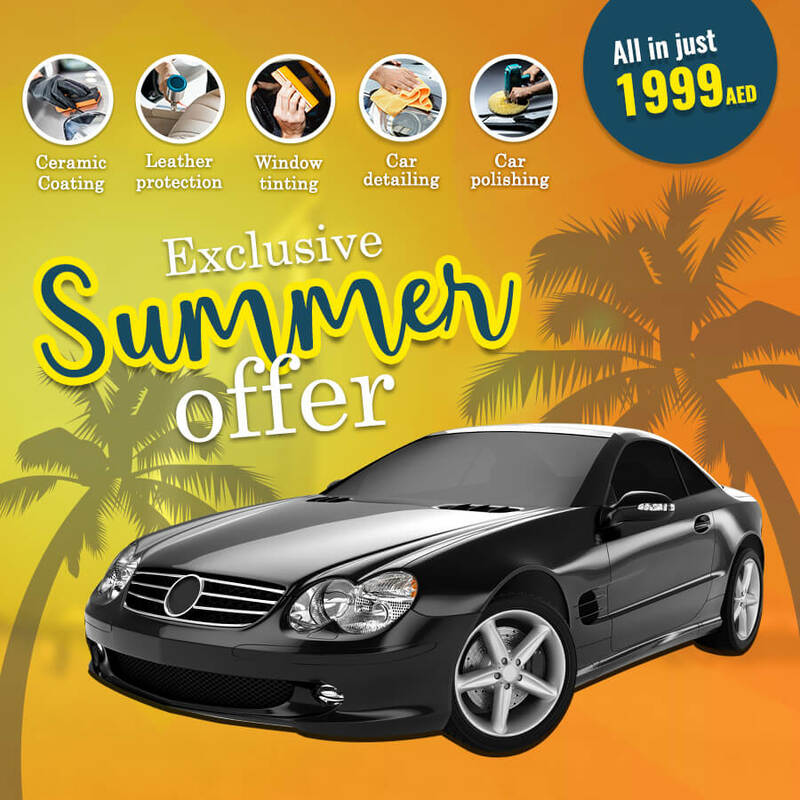 Now find all essential summer season services in the price of one and keep your vehicle in best shape throughout this hot time. Dial 800 25326464, avail the offer before it expires. Enjoy the best brands for coating and tinting. Avail up to 5-layer ceramic coating to protect your vehicle's exterior paint. Use #1 tinting brand to protect your car’s windows. Services like car detailing, leather protection, rim polishing and engine cleaning are included for FREE. As the heat increases in temperature, the problems for drivers are only going to increase. This is the peak time for various car care services including detailing, leather protection, rim polishing and engine cleaning. On top of that, vehicle paint and car windows become vulnerable due to heating and heavy wind on the road. Collectively, these services cost more than AED 4000/- plus the recurring cost for minor vehicle maintenance services costs you about AED 1000/-. IFSG Services has designed this offer as a summer gift to its valuable customers that are worried about heavy vehicle maintenance costs. Here’s a quick overview of pricing for each service! With this summer offer, you get to save up to 52% and keep your vehicle in best condition. Now drive anywhere without worrying about faded vehicle paint, shattered car windows or gross dashboard. We want to make your summer season the best time of the year therefore offering this combo that covers your exterior/interior, car windows, engine and exterior paint. Plus, you get to avail professional car care experts, free pick/drop of your vehicle and best services all by paying just AED 1999/-.